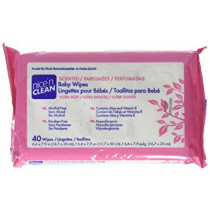 Baby Wipes, also know as Toddler Wipes or Washcloths, are used to clean the backside of infants. 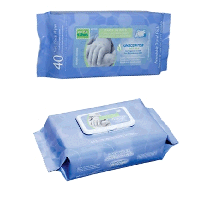 Available in scented or unscented, these wipes are soft and easy to use. Many choices provide skin conditioners to help your baby’s skin stay healthy. Many also include preservatives and pH balancing ingredients to guard against skin breakdown from urine or feces contact. Cleanser additives provide a gentle cleaning action to keep the skin fresh and lively. The material usually consists of a paper product or fabric. 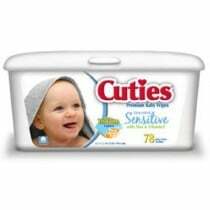 Most baby wipes are wet, but some dry options are available. 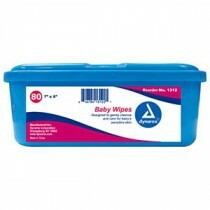 If you are looking for Dry Wipes and Washcloths, we carry a wide variety from top brands. Typical ingredients for baby wipes include water, synthetic cleansers, synthetic preservatives, skin conditioners and product enhancers. Below is a list of common ingredients. 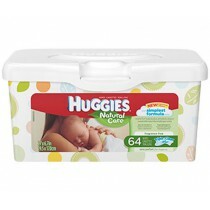 Three basic package designs exist for infant wipes—portable, hard case and bulk. 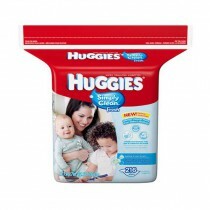 Package designs that accommodate storage in a purse or diaper bag for portable use usually consist of a soft pack that is easy conformable to a small space. 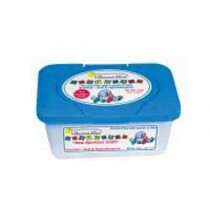 Hard plastic containers are mostly used at home at the diaper changing table. 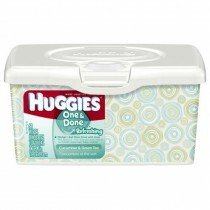 Baby wipes bulk packaging provides better economy for stationary home use. 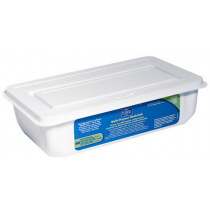 Vitality Medical offers many types of infant cleaning supplies, including Flushable Baby Cloth Wipes, Baby Wet Wipes, Mckesson Unscented Baby Wipes, Huggies Natural Care Baby Wipes and Huggies Baby Wipes in Bulk Packaging.